War in Colombia is over. However, gangs and organised crime groups are still recruiting children even from 8 years old to join their ranks in vulnerable zones of the country. The real and worst problem is that most of the children that get into the gangs, do it voluntarily, to run away from their own homes. Toys Vs. 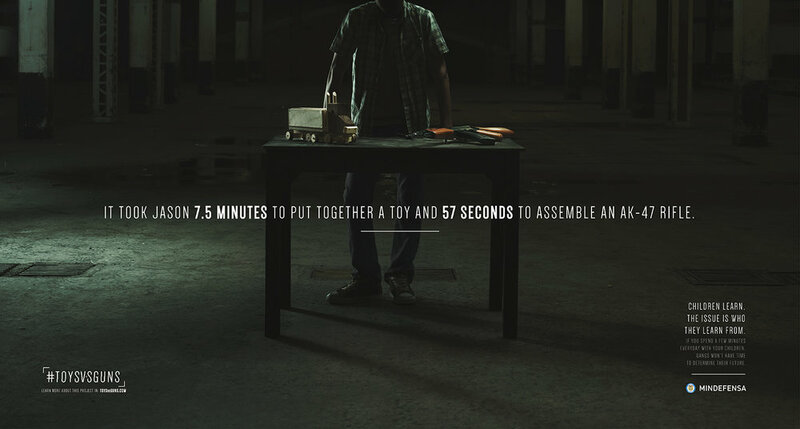 Guns is a real life experiment, conducted to call the attention of the parents of those children and highlight this problem to them, by showing them one of the consequences of don’t take care, protect, love, and spend more time with their kids: That their own children could end involved in crime.